Saimax Automotive has applied its pioneered anaerobic technology for developing retaining compounds. 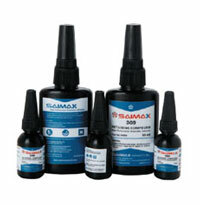 Saimax retaining compounds are formulated to bond non-threaded, cylindrical metal parts with high shear strength. Saimax retaining compounds can be used to secure splines, augment press fits, lock keyways and also for bearing mount. The products are marketed under its brand name and have received a wide acceptance for assembling press and slip-fitted parts. Customers from varied industry come to get these innovatively formulated products that can be applied with automated process equipment or manual dispense. Different products for various applications are available in store right from slip-fit, high temperature, and high strength to general purpose and press fit repair. 50 ml 250ml Green 125 3,125 Fixture Time- 10 min. Automotive Specified: A low viscosity, fast curing adhesive with up to 3,000 psi strength and ideal for press fit assemblies. Conforms to ASTM D5363 AN0411 (Mil-R-46082, Type I). Applications: Bearing mounts, oil filters, ring gear bolts, bushings, differential block pins, close ﬁtting parts, rotor on shafts, etc. 250 ml Green 650 3,150 Fixture Time- 60 min. Automotive Specified: Retaining compound that secures slip & press fit assemblies with high temperature resistance up to 4000F (2040C). High strength which also prevents surface corrosion. Conforms to ASTM D5363 AN0411 (Mil-R-46082, Type II). 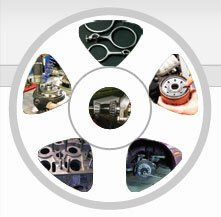 Applications: Pins & sleeves, bushings, valve guides, woodruff keys, bearings, studs, etc. 250 ml Silver Paste 3,500 Fixture Time- 10 min. Automotive Specified: High viscosity, non-sagging paste ideally designed to repair large gaps and worn parts. High strength with fast cure speed. Applications: Repair old machinery parts, repair worn keyways, refit worn couplings, etc. 250 ml Green 1,200 4,125 Fixture Time- 20 min. Automotive Specified: Ideal for slip fit assemblies. Fast cure speed with medium viscosity formulation for wide variety of applications. Applications: Wheel bearings, idler shafts, press fit bearings, replace clamp rings, replace snap ring, etc.